DALLAS, TX, USA, October 8, 2018 /EINPresswire.com/ — DALLAS, TX – Waite Enterprises is moving full steam ahead with its development plans for the coming fiscal year, consolidating many subsidiaries and partners in its new 6000 square foot state of the art facilities located at 14860 Montfort Drive, Dallas, TX 75254. Pleasant downtown Addison will house the new facilities located in the Prestonwood Pond II business plaza, where Daniel Waite will spearhead phase II of the company’s long term growth plan. Aside from developing business platforms in many attractive sectors, the company will leverage profits against a number of hard investments such as commodities, various currencies, real estate and cryptocurrencies. For Waite Enterprises the future starts now! 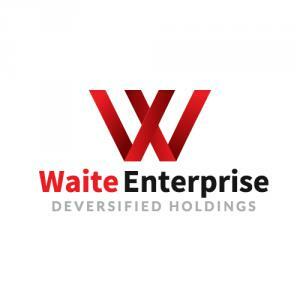 Waite Enterprises (subsidiary of Waite Capital, Inc.) is a diversified holding company with a vast platform of subsidiaries and investments that leverage resources and growth from various sectors, currencies and assorted commodities, from cryptocurrency to real estate to high end vehicles. The company is being developed by Daniel Waite with the intention of ultimately going public, offering a diversified investment platform designed as a basket that provides revenue streams from digital platforms, currencies, and businesses in the construction, healthcare and financial fields.